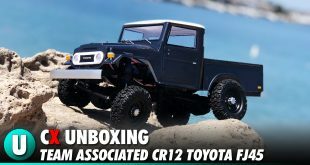 This latest Hop Up Corner is for all you HPI fans out there. The HPI Sprint 2 has been sold all over the world in various chassis configurations including brushed, brushless and drift-specific setups. 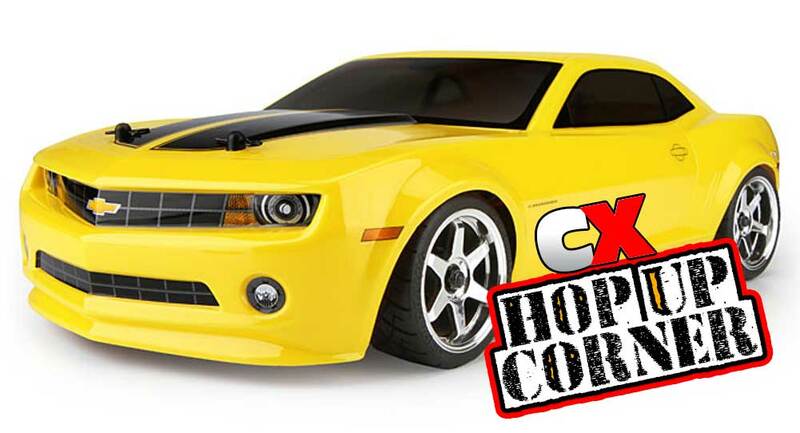 The most popular model has been the Sprint 2 Flux with HPI’s Flux brushless power. With a LiPo battery, HPI’s Sprint 2 Flux is one fun ride, but there’s always room for improvement and that’s where we come in with Hop Up Corner! The Sprint 2 is a great entry level touring car with adjustable toe and camber links, ride height, droop and caster right out of the box. One of the limiting aspects of the suspension is the soft plastic shock towers. 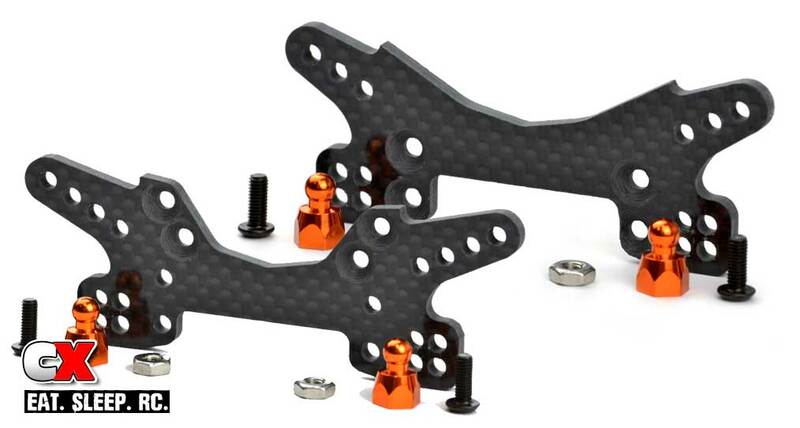 They help absorb hard hits for beginners, but for experienced enthusiasts carbon towers like the Exotek Racing carbon fiber pieces (PN 1493 for front, PN 1494) not only offer improved chassis strength but provide additional shock mounting positions for suspension tuning. HPI’s Flux brushless setup is sourced from Castle Creations and the Flux Vector 5900kV motor and Flux Vapor ESC are the perfect combination for this touring car chassis right out of the box. 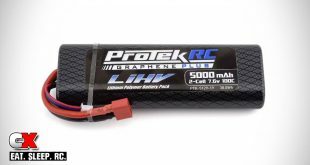 The motor runs cool with plenty of punch and the ESC can handle 2S LiPo batteries and is waterproof. 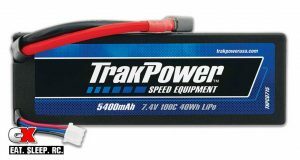 What the HPI Sprint 2 Flux really needs to get it moving is a top quality battery. Sure the Flux will run with a NiMH 6- or 7-cell pack, but a 2S LiPo will really wake the Sprint 2 Flux up! 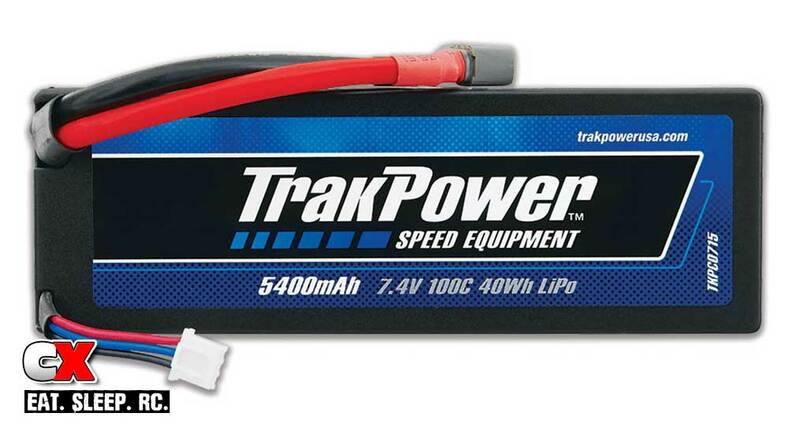 Drop in something like TrakPower’s 5400mAh 100C Hard Case LiPo and you’ll be grinning from ear to ear. 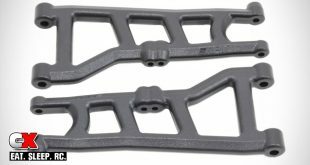 Since the Sprint 2 series of cars are belt driven (with a front and rear belt), there isn’t the traditional plastic shaft drive system that we often recommend upgrading. That said, the Sprint 2, no matter the model, comes with traditional dog bone axles. 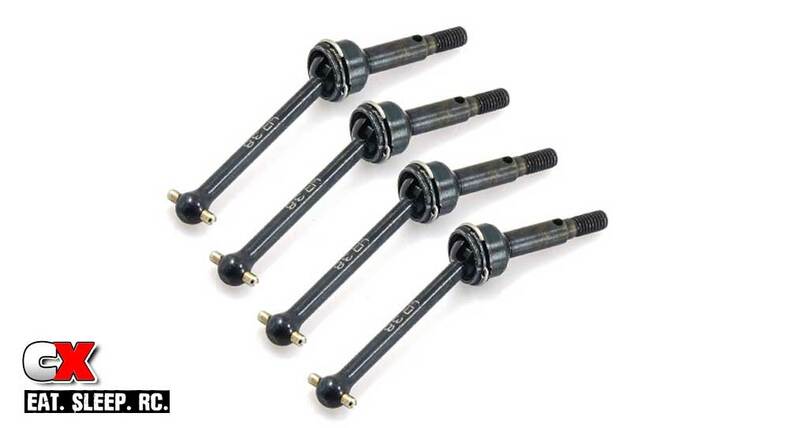 Upgrading to constant velocity joint axle assemblies will reduce drivetrain losses, increase the motor’s efficiency and help propel your Sprint 2 Flux to higher speeds with quicker acceleration. Yeah Racing’s universal axle shaft kit is made from quality steel for strength and includes all four axles. Installation is drop-in easy as well. When it comes to touring car bodies the sky is the limit. Choices abound everywhere and it can be tough to come away with something cool. While the yellow fifth-gen Camaro body included is sharp and full of detail, we’re a sucker for classic muscle car bodies, especially those that raced during the historic early years of Trans Am! 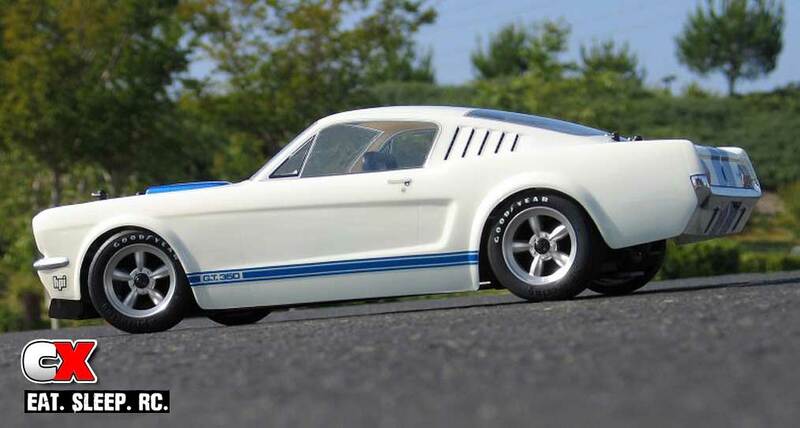 With that said we don’t have to go any further than HPI’s own catalog for its fully licensed 1965 Shelby G.T. 350 Mustang fastback body! Ain’t she a beauty? 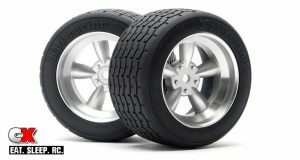 For every fan of the traditional five-spoke wheel there’s someone else who loves Y-spoke racing wheels. Place us in the first half of that group, as the timeless five-spoke design works with just about any body, vintage or late-model. 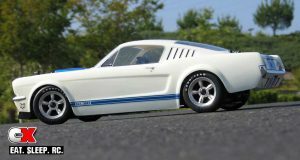 HPI’s Vintage Five-Spoke Wheel wrapped in its vintage racing tires easily gets the nod here to perfectly tie together with the Shelby fastback body. The vintage wheel and tire offerings from HPI include standard 26mm sizes and optional 31mm wheels/tires for a staggered look and to really fill in the rear wheel wells on the vintage bodies. It’s a killer retro look for sure. 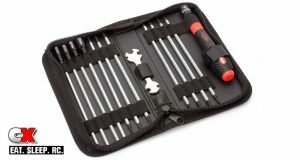 Like most RTR models, the HPI Sprint 2 Flux comes with a few L-wrenches and a universal four-way wrench for the wheels and turnbuckles. Wrenching on your ride should not be a chore and for a chassis like this, with so many tuning options right out of the box, a good set of hand tools will make things so much easier. You can get pretty crazy with tool purchases, but before you take out a second mortgage on your house check out the Dynamite Startup Tool Kit. It has everything you need for basic wrenching and adjustments with a budget friendly price. Like any tool, you take care of them and they’ll take care of you! 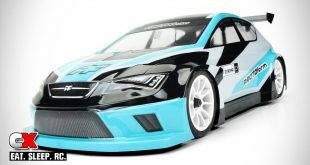 To wrap things up we have to say the HPI Sprint 2 Flux is a great touring car that is easy to drive right out of the box and offers plenty of tuning options and durability for the basher and the racer in us all. These few select pieces will simply take your Sprint 2 Flux to the next level and possibly have you looking for the nearest U.S. Vintage Trans Am R/C racing event!